The process of searching for used trucks for sale in Edmonds is quite similar to shopping for brand new trucks in the area. You still need to make sure that the truck you are looking at is able to do exactly the job that you are looking for and then some. The difference comes when you need to be sure that you are going with an option that is going to be dependable and free from a lot of excessive wear and tear. Shopping with the professionals at a used car dealership such as Carson Cars will help you to ensure that you are never buying into the troubles of the last owner. With any used pick up truck, a certain amount of wear and tear is to be expected. Shopping for a truck with Carson Cars will allow you to do so with added peace of mind simply because each vehicle goes through a detailed inspection process to ensure quality before it even hits the dealership lot for sale. Our team of professional mechanics go through each truck to make sure that it is ready to go to become a great purchase for our customers. We invite you to stop by and view our inventory of available used trucks and to take any of the options for a test drive so that you can get a better feel of which one is going to suit you best. 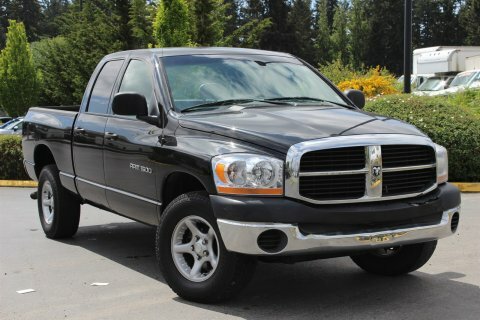 Carson Cars is your answer when you are looking for tough, dependable used trucks for sale in Edmonds. Call (855)583-9356 for more information on selection. We look forward to working with you so that we can get you behind the wheel of a tough truck that is sure to exceed your expectations.